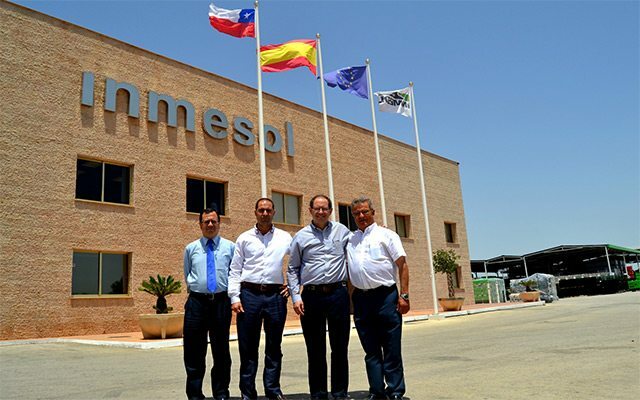 From left to right: Mr Jesús Fernández (Financial Director at Inmesol), Mr Jose Luis Solano Baño (Managing Director at Inmesol), Mr Gustavo Tapia von Zerner (Managing Director at Emaresa) and Mr Jose Luis Solano Pastor (Production and R+D+I Department Manager). Last April, Inmesol participated in Expomin, one of the most important trade fairs in the mining industry, through our distributor in Chile, Emaresa Construcción. 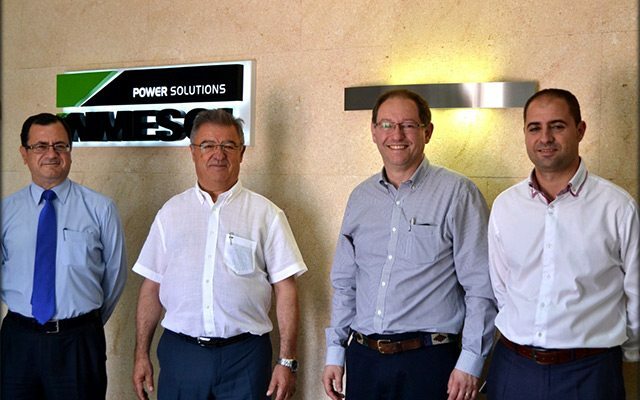 Following our satisfaction at the excellent reception our generator sets had there, last week we had the added pleasure of receiving a visit here at our facilities from Gustavo Tapia von Zerner, Managing Director at Emaresa Construcción, one of the four Business Units in the Emaresa Group. Since 1972, Emaresa Construcción has served the Chilean market through the manufacturing and representation of world-class equipment. They add value to this service by providing engineering solutions to their clients as well as excellent post-sales support. Emaresa provides equipment for ground concreting and compaction as well as other specific machinery for the hard labour in building works and hostile environments. Owing to the nature of their work, Emaresa Construcción requires robust and resistant generator sets which offer the highest guarantee and results in any environment or situation. 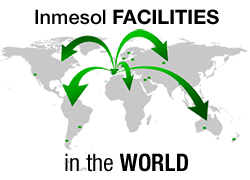 Inmesol, a family business which now exports to more than 80 countries, shares many values with Emaresa, a group which has also grown from modest beginnings thanks to its pursuit of excellence. It was a great pleasure to have Gustavo Tapia with us and to strengthen the bonds which unite us.